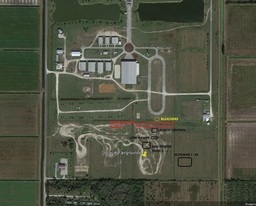 Test launch at FSA new field. This is Rocket Rick's trial launch. Think it's $25 a head in advance, $30 day of event. I am considering going but not committed yet. Watching weather closely, right now it looks too windy - if it improves I will go. I know Bernie is going, do you know if Brian the motor man is going? I don't think Brian will be there. I think Micheal West might be selling AT motors although he says he only has small inventory. I will not be there as I have another commitment this weekend. And yes, I have been looking at the wind. I was also looking at recovery area. If rocket lands west of canal it looks to be a pain to recover. Wind is too high, I'm standing down (way way too much going on right now anyway for me). I'll try on their next launch at this location. Gary said it was a nice field but pretty windy & they suffered a 1 hour stand-down due to launch controller issues at busiest time of day. I hear the next event will be a 2 day event but no idea when!